The Battle for Ningxia was abondoned after only 2 short weeks. However, not informed of the decision the 4Th Red Army was left by itself to push westward against dramatic ods. They faced an 6 fold larger force of Muslim Warlord troops and a barren landscape devout of food, water and even the most basic cover. The 4Th Red Army was near wiped out in The Hexi Corrdior of Western Gansu in a battle for survival in these poorest and most impoverished regions of China. Who won ate, the losers would die in battle of of starvation and exposure to the winter climate. The Muslim Troops eventually won, taking various forms of sadistic revenge on those left behind wounded, or those conquered and still alive. Many were executed, the women raped, etc. This however was by no means a muslim only affair. In earlier months, in Sichuan the Long Marchers had fallen victim to Tibetan atrocities, of the same Nature. Before and afterwards Nationalist Officers and sometimes troops would engage in similar offences. It was a nasty war often devout of any rules or morality. New sources recently discovered - This section is currently under re-editing ! (Second) Ningxia Campaign in 1949 AD of Communist Forces against the Ma Clan of Warlords which at the time was still holding the West, Ningxia, Gansu and parts of Qinghai Province. As for the distribution of the Islamic Faith in China, the current situation derives from the historic inter-connectiveness of Central Asian Cities and Kingdoms through the pathways of the Silk Road and the transmission of Islam and other Religions along this Road. Although it is unknown when exactly the islamic religion first reached China, a most popular theory posed by the Chinese Historian Chen Yuan holds that it was in the year 651 AD during the Reign of the Powerful and Prosperous Tang Dynasty (618 AD - 907 AD). According to Tang Dynasty records (History of Tang) the First contact came through a diplomatic visit by the envoy Sa`ad ibn Abi Waqqas - an uncle to the deceased Prophet Muhammad, who was sent by Uthman, the 3rd Caliph (early leaders of the Muslim nation following Muhammad's (570 AD–632 AD) death were called "Khalifat Rasul Allah", which means the political successor to the messenger of God (referring to Muhammad as Prophet). Go to small Dong Si, Eastern Temple or read our small introduction of a modest little corner of the DongCheng District. Dong Si was constructed later than Niu Jie' Mosque, but is larger and serves as the Headquarters of the Beijing Islamic association and heart of the Dongcheng Muslim Community. Some academics prefer to transliterate the term as Khalīf) to the Tang Emperor Gaozong (Li Zhi). This high level cultural and diplomatic exchange took place only 20 years after the death of the founder of the faith Muhammad, a time during which Chang 'An (Xi'An), the Capital of the Tang Empire was not only the largest but also the most international City in the World. After its initial introduction in China in the 7Th century Islam and Muslims played an important Role in Chinese History. During the Song Dynasty Islam was already well established as one of the main religions of the Nation, although it played a minor role in comparison to Buddhism, Daoism and Confucianism. Islam was carried to China both through the land-bound Silk Road paths through which contacts with the Arabian Peninsula had already been established as early as the Han Dynasty (206 BC - 221 AD)(Reign of Hanhe Emperor), but also increasingly through Maritime Contacts through the South-China Sea and Indian Ocean, then from the Chinese Coast on to Chang'An (Xi'An) the Capital. According to the Tang Dynasty records named Zi Zhi Tong Jian ("History as a Mirror") there were over 4000 Foreign Businesses established within the Capital of which the majority were Arabian and Persian in origin. In fact the economic contacts became so intense that the Tang Court at Chang 'An had to set up a special trading department to deal with the administration of the succesful silk roads. Diplomatic visits from Arabia and Persia during the highpoint of the Tang Dynasty Golden Age counted no less then 37 in a 148 year period. Muslims virtually dominated the import/export business in China during Song Dynasty (960 - 1279 CE). The office of Director General of Shipping was consistently held by a Muslim during this period. The Western Regions and neighboring Muslim Area's saw skirmishes between Armed Muslim Seperatists and the Central Imperial Powers several Times in history. The First Battles by Islamic Armies on Chinese Soil however occurred during a period of decline for the Tang Dynasty. In the events, which was started in Fanyang (now Beijing) with a Rebellion by a powerful General, one An Lushan, the Tang Dynasty Empire was forced to seek military support from the Persian Empire. 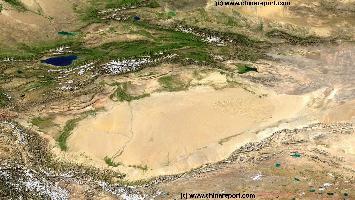 Large portions of Hebei Province, the Ordos Desert, Inner Mongolia and Western Regions were temporarily lost to the Tang Empire. The Persian Empire sent its support and helped turn the Tide for the distressed Tang Empire. Through the Battles and subsequent allowed stays for welcomed Islamic Soldiers with traders and Clergy on their heels, the Islamic Faith was spread throughout these regions. Due to several factors including the prevalent nomadic lifestyles and geographic limitations of these remote regions and political forces within the Empire descendants of Islamic Armies kept to their culture and grew into the Islamic Minorities of the North and West. In the South of China Islam was spread by means of the Sea Route from the Persian Gulf and across the Indian Ocean to reach up to Chinese Harbors such as Guangzhou (Canton), Yangzhou and Quanzhou. Here, once more traders and merchants from far away Persia and the Arabian Peninsula set up shop in Chinese Cities where they kept their Islamic Faith and were allowed to build their (Chinese Styled) Mosques. Of these Traders and Merchants many settled in the Chinese Port cities and beyond, and their descendants remained. They lived however in close knit communities and did not intermingle or marry with the Chinese Han or other Ethnicities. Although regarded as a bit strict in discipline, the Muslims were fair and most importantly law abiding citizens. Because of their lack of missionary activity and due to their low political profile the Muslims were not perceived as a threat to the Chinese Ruling Elite and therefor tolerated within the Empire. This situation remained throughout the Tang Dynasty but would start a transformation of China, which mainly took place during the years of the Song Dynasty (960 AD - 1279 AD) and was completed during the Yuan Dynasty. This original period, in which Foreign Traders lived in China, remaining loyal to their own culture and Islam is regarded as the first period of Islamic Introduction in China. Currently there are 10 Islamic Ethnic groups that remain in China (P.R.C.). Some of these groups are very small while others count millions of members. First and Foremost are the Uighurs, most of whom are Chinese Muslims originating from Xinjiang-Uygur Autonomous Region, and a minority from Hunan and Henan Provinces. There are currently about 7.2 million Uighurs in China. A Schematic Map of the Mongol Empire of Genghis Khan (TeMuJin) and descendants through its several stages of conquest in its short but Impressive Existence in History. Timeline depicts the Mongol Conquest starting in the Year 1206 AD, when Genghis Khan first united the Mongol-Turkic Tribes of Mongolia and Lake BayKal becoming Great Khan. The Timeline continues through the year 1219 AD, the year 1223 AD taking Transoxiania, 1227 AD, 1237 AD when the Northern Jin Dynasty of China was annihilated, 1259 AD conquering ancient China above the Jiangste River and 1279 AD when all of China was taken and the Yuan Dynasty Established under the Kublai Khan. Last is the Year 1294 AD when the Mongol Empire reached its largest geographical size and Zenith, 22% of world land area, but through lack of central leadership and over-expansion fragmented into 4 large parts, then imploded upon itself. During and after the Reign of Emperor Tang Wenzong (Reign 824 AD - 840 AD) a final decline of the Tang Dynasty set in. While major ruling elite clans battled for influence and their fiefdoms within the center of the Empire (The Five Dynasties 10 Kingdoms Period), the West and North-West fell away from Central Control entirely. It was in a period in which large migrations of ethnic peoples occured. Among them were the Western Liao, the Jin, the Western Xia and a nomadic peoples from Central Asia with Islamic beliefs the Hui Hu. In the absence of Central Powers in the West, the Hui Hu People moved to these Western Regions and in conjunction with the native tribes established a new Nomadic Empire named Karakitai. This nomadic Empire, organized as a Khanate, was Islamic in Nature and covered large parts of current day Kyrgyzstan and Kazakhstan. The founding of the Karakitai Khanate layed the foundation of the later emancipation of Muslims and announced the second period of the spread of Islam in China. Meanwhile in the Center of the Chinese Empire, new Dynasties emerged. The Northern Song Dynasty continued the traditions of mutual respect and integration with the Muslims. In 996 AD, the City of Beijing (then named Yanjing) saw the construction and opening of the Niu Jie' Mosque, albeit outside of the defensive walls of the Imperial City in the former Muslim Minority Village of LiuHe (currently inside Xuanwu District). In Tang and later in Song Dynasty China Muslims who had taken up perminanent residence within the Chinese Empire were called Zhu Tang. Zhu Tang literally means "Foreigners living in China", giving a good idea of how dominant the Muslims were among the many peoples who came to China to Trade. The descendants of Muslims who married Chinese women were dubbed the Fan Ke. As time passed on the term Fan Ke became to mean the Muslim population of foreign descent in general. To further themselves socially and integrate better into Chinese Society, the Fan Ke generations gradually adopted more and more of the Chinese Culture, Customs and Teachings. In the 4Th Year of the Reign of Emperor Zhenghe of Song onwards the Imperial System created special rules to deal with Affairs and Laws of the Fan Ke. Among these were a heritage law, but more importantly arrangements were included to create special schools for the Muslim Children, the Fan Xue. At the Fan Xue, Chinese customs were taught along with Muslim specifics, all under the guidance of the Empire but run by Muslims themselves. 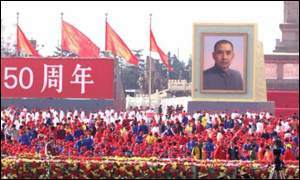 take part in the Imperial Exams and thus become fully integrated with the Song Political System. At the end of the first period of the spread of Islam in China integration of the Fan Ke had reached so far that many of them had taken on Chinese names. Names resembling the name of Mohammad, Mustafa and Massud (The first 3 Caliphs) turned into the Chinese names Mo, Mai and Mu and date from this early period. Similarly, in search of names Chinese Characters resembling the original Muslim name were adopted leading to names such as Ha for Hasan, Hu for Hussain. attractive offer. Joining up however meant becoming a Muslim and so the Muslim population grew larger. their external relations, to focus more upon the Middle East than upon China. The final demise of the Tang Dynasty Empire with loss of control over what is now Xinjiang-Uyghur Autonomous Region only contributed to the cultural shift, leaving the Muslims of Xinjiang and the Pamirs under the Rule of local Muslim Khan's. From the tenth century AD onwards nearly all trading and cultural relations in the Region were focused on Persia and the Arabian World rather then the (Han) Chinese Culture. Then came the great Mongol conquests. A trans-continental Empire would emerge opening the Silk Road to unprecedented traffic. 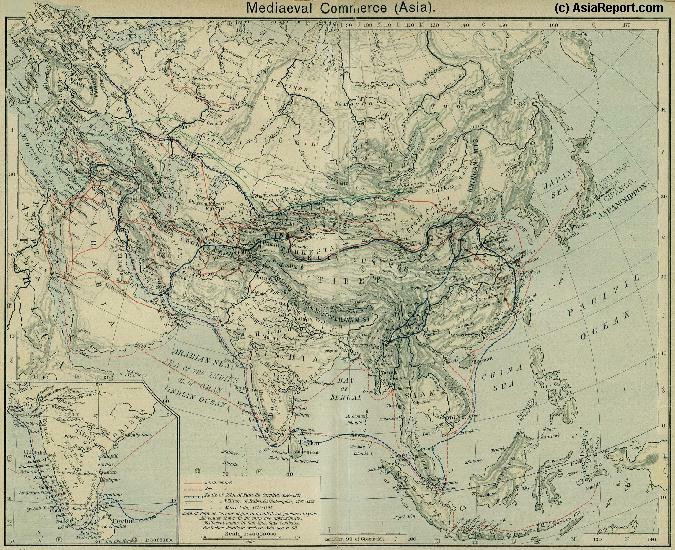 The migration of Islamic peoples eastward from the Middle East into China had begun. During the time the Mongol hordes were ravaging Persia and Afghanistan, between 1219 AD and 1224 AD, Chinese Muslims were staffing the Mongol intelligence service, seeing the Imperial Yuan Dynasty play the interests of one regional Tribe against those of another. 1) First and Foremost is the HuaiSheng Mosque in Guangzhou (Canton), Guangdong Province. The HuaiSheng Mosque was constructed during the Tang Dynasty Era. Reportedly it even dates from the year 627 AD, well before the year 651 AD and the first Islamic Dimplomatic Visit to the Tang Court (see above). The exact date of establishment however is unsure. Alledgely the HuaiSheng Mosque in Canton was founded by a succesful Arabic Trader, who is supposed to have been an Uncle to the Prophet Mohammad. There are however reasons to doubt this claim. In the period of the decline and succeeding demise of the Ming Dynasty during the 17Th Century, the Western Territories were once more lost from Control. Due to a lack of Central Authority, local tribes were thrown back upon their own centuries old habits and the region saw a fragmentation into several tribal area's. 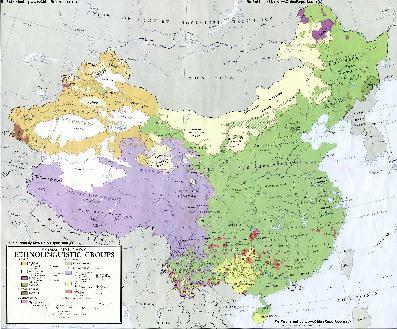 Some parts of the West, in Gansu Province and Xinjiang AR were annexed by Mongol Tribes. The Qing Dynasty consisting of Members of the Manchu Tribes of North Eastern China first rose to power in Beijing. After a remarkably short period of consolidation of Empire, the Qing would set to work re-establishing the Old Borders of the Ming Empire. Before the 17Th Century was out the Islamic Tribes and Regions of the West would be subjected to a bloody war, ending with the Qing Dynasty re-asserting control over what would henceforth be named Xin Jiang, the New Territories. Silk Road would dock for trading with the Tang Empire, hence the choice of location. 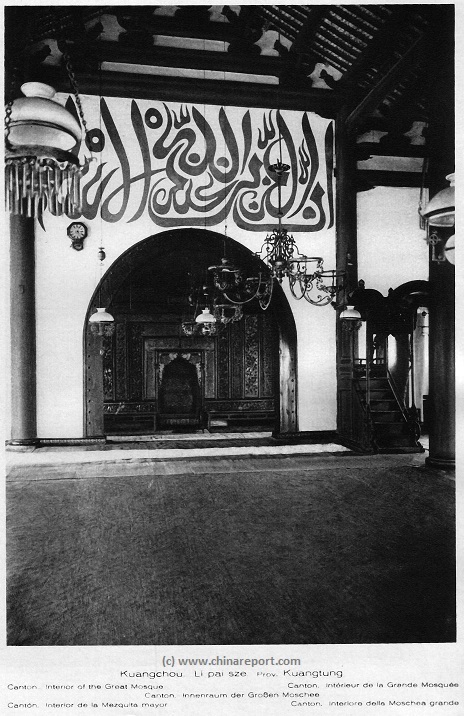 This original Mosque, known as the Memorial Mosque has long since disappeared although Today's City Mosque is regarded as the historic continuance of this Mosque. Not many years later another Mosque was opened in the Tang Capital of Chang 'An (Xi'An). This Mosque, known as the Great Mosque of Xi'An, was originally founded in the year 742 AD, during the flourishing period of the Tang Dynasty under the Reign of Emperor Tang Xuanzong (712 AD - 756 AD). The Tang Emperor respected the teachings of Islam and considered it to be compatible with the teachings of Confucius. Thus it was allowed to Sa`ad ibn Abi Waqqas to preach Islam, but only among his own people (ethnic group). - Click Map to view Version and further Information on Locations. After 1219 AD the Nomadic Tribes of Mongolia united under the Leadership of Genghis Khan and his Sons started their Rise of power in Asia. Originating from Mongolia and the regions around Lake Baikal, powerful Mongol Armies swept South- and West repeatedly, conquering more and more territory from the Song Dynasty, and from the Nomadic and Settled Peoples of the West. Among the Peoples of the West were the Western Xia who first had their Capital at Yinchuan in Ningxia, and further West the Karakitai Khanate which since the fall of the Tang had become unified and had become an Islamic State by about the year 960 AD. In the melting pot of this nomad Empire the Hui Hui were gradually mixed with other nomadic tribes as well as with a new influx of Tribes of Turkmenic Descent. Its population enlarged and grew into the Uighur ethnicity with a culture of its own. By then Karakitai Khanate extended as far as Yutien (now Hetien or Hotan) in Xinjiang AR South-East of Kashgar and extended its Trade and influence further West to Qiemo (Cherchen or Qarqan) and Charkliq or Chakliq (Ruoqiang) in the Western Tarim River Basin (along the South Route of the Silk Road in the Taklamakan Desert). It was an influential culture. The Western Xia Tribes (Tangut) were subdued by the Mongol Armies in 1237 AD, however the Hui Hu people and the Khanate surrendered and joined as Allies of the Mongols in the war on the Song of China. During the subsequent advance on the remnants of Song China, the Hui Hu and befriended Muslim Tribes, Arabs and Persians aided the Growing Mongol Empire by organizing themselves as a large Western Army, stabilizing the Western Regions and facilitating the attacks of the Mongol Armies against the Song as well as a number of Southern Tribes. During the Yuan Dynasty (1206 - 1368 AD) the Islamic Tribes and Peoples of China were included in the Mongol Khanate of Cathay. Due to their strong support in creating the new Mongol Empire, Islam and Muslims gained a highly respected status. The Islamic Religion was integrated with the other cultures in the Class System of this vast world Empire and the Hui Hui, as Muslim People were socially accepted as the 2nd class of citizens, after the Mongol Ethnicity. Among the rights granted to the Muslims were lower taxes and the right to participate in the Imperial Examination System and thus through officialdom in the hierarchy of the Empire gain influence in Political Affairs. Later integration would reach even further. cultural relevance the Xianhe Mosque of Yangzhou is not listed in major travel guides and the rich Islamic History of the City has so far has been ignored by tourists. Information on it is hard to find. More emphasis is put on Yangzhou's Culture of High Quality Craftsmenship, Folk Art and the historic Grand Canal on which Yangzhou was a major City during the Tang Dynasty and Song Dynasty Era's (The Grand Canal was THE major South to North pathway for internal trade. It was constructed during the Tang Dynasty, further developped by the Song Dynasty, and finally modernized and expanded to reach Beijing on orders of the Yongle Emperor of the Ming Dynasty. The Canal was one of the major reasons for the Islamic Presence). 4) Fenghuang Mosque in Hangzhou, Jiangsu Province, constructed during the Yuan Dynasty and the Mongol Empire. The name of the Fenhuang Mosque translates as Temple (Mosque) of the Feniks, which is appropriate for its turbulent history. Originally the site of a Mosque constructed for Arabic and Persian traders who travelled through Hangzhou and the Lakes of Zhejiang via the Maritime Silk Road during the Tang Dynasty Golden Era, the Mosque was destroyed and rebuilt several times in history due to ethnic/religious and other conflicts. One of the latest destructions dates from the early 19Th Century esotherical-christian Taiping Rebellion and the Mosque was recently rebuilt and re-opened in 1984 AD (under the Political Leadership of Deng Xiaoping). The Fenghuang Mosque treasures a large collection of ancient arabic inscriptions. were formed at Harbors and in important trading cities. The especially important role of the Maritime Routes lead to a concentration in Cities in the South of China, in Coastal Area's and near the economically vital Grand Canal. close-knit community of the Hui Muslim Ethnic Minority, have been been included in the UNESCO listing as a World Cultural Heritage Site of Islamic Culture. Treasures of the Mosque include Caligraphy works by Mi Si dating from the Song Dynasty and a Hall of Stele Tablets with Steles dating from the Ming and Qing Dynasties with inscriptions in the Chinese, Arabic and Persian Languages and more. During the Ming Dynasty Islam in China saw a Golden Age due to a large tolerancy for Minorities and the Islamic Faith by Han Officials and Empire. In the Ming Period China's Muslims fully integrated into Han society by adopting their Chinese Names and main Han customs and Cultural Aspects while retaining their Islamic mode of dress and dietary restrictions. With yet another large scale war sweeping China, changing the the Yuan Dynasty for the Ming Dynasty more armies marched across the land. Among them once again the Muslim Armies of the Hui Hui. The Ming Dynasty (1368-1644) had the first written record of Chinese Muslims performing the Hajj, or pilgrimage to Mecca, Islam's holiest city. Some historians believe the famous Chinese Muslim mariner and diplomat Zheng He (1371-1433) performed the Hajj during his voyage to Arabia. During the Ming Dynasty the Qadi System proved no longer effective to deal with the by then innumerous numbers of Muslims. The system was therefor replaced by the system of "Triple Party Administration". In this triple party there was no longer just one Qadi Imperial Court Officer in charge of every aspect of Muslim Life, but an administrative unit composed of the Imam, the Khatib and the Mu'adhdhin. These three together could handle the day to day affairs of the large Muslim Communities that appeared during the Ming Dynasty. The "Triple Party Administration" of Muslim Communities is a strictly Chinese invention and is not found in other regions of the world. Sound Bonus: Kitaro - Journey beyond the Horizon (Silk Road Suite). The Mongol Yuan Dynasty saw an unprecendented rise in the Muslim Population for various reasons. First of all there was a huge influx of muslim soldiers through the invasions of the United Western Army against the Song during the years of the establishment of the Yuan Dynasty. Afterwards soldiers, who had come unmarried or at least without their wives settled in the fertile lands where they found themselves. Many settled in the newly conquered Western lands know part of Xinjiang Autonomous Region and Gansu Province of China, other settled elsewhere East across the Yellow River (Ningxia and Shaanxi) and along vital roads and communication lines, towns and villages of the countryside, and even in the South across the Yangtse River. Muslims were found anywhere a large troop of Muslim Soldiers of the (United) Western Army (The Chi Ma Tan Jun) was stationed. Secondly, due to their high social status in the Yuan Era it was not difficult for Muslim Soldiers to inter-marry and start families. Where Muslim Soldiers settled the generations of offspring multiplied, especially under encouragement of the Yuan Imperial Administration to settle down and adopt methods of agriculture. Thirdly, in the same manners as they did during the Tang and Song Dynasty Era's, due to inter-marriage and by accepting household slaves into the family who would then henceforth carry a Muslim name, households increased. Thus, the settled Muslim peoples multiplied on the fertile land. And fourth, as mentioned above, the religion of Islam was encouraged by the Yuan Dynasty Rulers. After the Empire of the Mongols had been stabilized, the Yuan Dynasty established and the dust settled the barriers between the West and the East had been removed. Thus many Central Asians were able to move Eastward into China and Mongolia. In the process they carried forth their Faith of Islam and many were converted. Islam was spread and more joined the Faith. Even some Mongol Tribes accepted Islam as their Faith. Whereas during other Dynasties religious tolerance and a certain degree of equality between the many Ethnic Groups in the Nation had benifitted the Muslim Ethnic Groups and Tribes, the Qing Dynasty would turn out to be dark age for the Islamic Communities of China. The Main Regions involved were the current day Xinjiang-Uygur Autonomous Region which at the Time was mainly populated by the Hui Hui (Dzungar or Oirat) Ethnic Group, and connected parts of Western Gansu Province,North-Eastern Gansu Province, Ningxia Hui Autonomous Region and as a last large Parts of Shaanxi Province. Responsible for the conquering of the West in the Qing Dynasty Era were the succesful first 3 Emperors: Kangxi, Yongzheng and Qianlong (see History of the Ching Dynasty). The latter of these three completed the task of shaping the Chinese Territory that (roughly) remains today as the Peoples Republic of China. All the above was a result of the positive environment enjoyed by Muslims. At first there was the system of Jun Hu, in which militarized households (Jun Hu) were favored by land allocations and tax exempts. Many Muslim Families were thus stimulated. Other favorable treatments and integration policies used by the Yuan were the allocations of wastelands for cultivation or animal grazing, tax exemptions on land trade and more. Later Muslims who passed the Imperial Examinations held high positions, there was significant social and scientific progress, the Muslims integrated in all layers of society, many new mosques were constructed in the Yuan Dynasty Era and the Muslims of Tribes eventually amalgamated into the Nation of Hui Hui's, the Muslims of China. Among them were the Uygurs, those of turkmenic descent. Most notably, the Yuan Dynasty was appreciative of the scientific talents of the Hui Huis who derived their scientific foundation from advanced Arabian and Persian traditions of mathematics, navigation, astronomy among things. Accordingly Muslim Scientists were promoted to important scientific positions within the Yuan Dynasty Imperial System and special departments were established to deal with certain works. Hui Huis) which was in charge of the management and study of the Hui Huis' astronomy and calendar system. Many Hui Hui experts like astronomer Jamal al-Din and Kamal al-Din, artillery-making expert 'Ala' al-Din and Isma'il, architect Ihteer al-Din, medical scientist Dalima, and linguist Haluddin were placed in various institutions established by the imperial court. To deal with the growing affairs of Muslims in China, now amalgamated into the Hui Hui people, the Yuan Dynasty set up the system of Qadi. The Qadi first of all, was an official appointed by the Imperial System and thus strictly under its influence. On the other hand the Qadi was also the Head Preacher, Social leader and Civil and Penal Court Judge dealing exclusively with the legal matters of Muslim Citizens. In this way the Hui Hui were ruled by their own in ordinary every day affairs and enjoyed some freedoms from the Imperial Rulings. Needless to say, the function of Qadi was a very powerful one and the Qadi enjoyed high social status, especially among their social groups. In the Yuan Era the Mosque grew into the center of the Muslim Communities in China with the preachers under strict control of the Imperial Administration. At the end of the Yuan Dynasty the Qadi system was abolished in favor of Jiao Fang, a more loose system in which one organization coordinated the complicated affairs of the Muslims, not only in religious or legal matters, but also tending to education, the organization of festivals etc. Muslim activities once more centered around the Mosque. The Famous Historic Mosques remaining from this Era in China are : Zheng Jiao Mosque in Hangzhou, Song Jiang Mosque in Shanghai, Nan Cheng Mosque and Yong Nian Mosque both in Kunming, Yunnan Province, Qing Zhen Mosque in Fuzhou in Fujian Province, Zhen Jiao Mosque in Qinzhou and the Great Southern Mosque in Jinan both in Shandong Province, the Hua Jue (Great) Mosque of Xi'An in Shaanxi Province, Jing Jue Mosque in Nanjing, Zhejiang Province, and the Niu Jie (Ox Street) Mosque and Dong Si Mosque of Beijing. The High Positions of Muslims, there social importance and the large growth in numbers of Muslims during the Yuan Dynasty layed the foundation for a future important role of Islam in China. The second important group are the Hui. 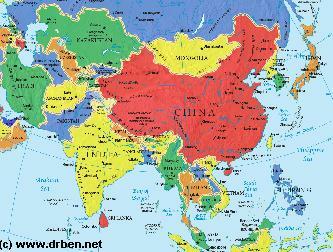 The Hui are of Arab and Persian descent and are spread all over China. The Hui are nationally the most found Islamic Ethnic group. The population of Hui is around 8.6 million strong. Main concentrations can be found in Ningxia (Hui) Province, in Qinghai and Gansu Provinces, Xinjiang-Uygur Autonomous Region, Shaanxi Province (Xi'An), Shandong Province, Hebei, Inner Mongolia AR and Yunnan Province. The others are: The Kazakhs, the Khalkhas, the Uzbeks -found in Urumqi, Yining, Tacheng and Kashgar-, Tajiks living in the Pamir Mountains (Tashkurkan Tajik Autonomous County) near Kashgar and the Tatars, the latter of whom only number 5 to 6000 souls found in the Grasslands of Western Xinjiang-Uygur Autonomous Region, the Salas of mixed Turkmenic and Tibetan descent some 900.000 of whom live in their own autonomous prefecture in Qinghai Province, the Dongxiang of Linxia Prefecture in south-west Gansu Province and last the small group of remaining Bao'An People. The Bao'An are also known as Bao'An Huis, to designate their Muslim Faith, however they are a separate ethnic group with their own language, albeit no written version of it. All Bao'An, some 15.000 in number live in Jishishan in County of Linxia Prefecture in Gansu Province where they live from farming and knife-making among things. Read more on the Famous Muslims in Chinese History - CLICK HERE !! Mosque in Beijing was first built in the Year 1356 AD under the Mongol Kublai's of the Yuan Dynasty. The Original Temple was built with the finances donated by an Influential Muslim General of the Yuan Era, named Chen You. It was closed as a result of the Ethnic Policies of the Cultural Revolution in the 1960's, but is once more active today. YouTube Video: The Muslim Generals of the Qing Dynasty. seducing Foreign Powers to intervene. Such was the case with the Dzungar Muslim Rebellion. Read more on the History of Islam during the Ching Dynasty Era - CLICK HERE !! 'Islam in China under the Peoples Republic 1949 AD - Present' - CLICK HERE !! 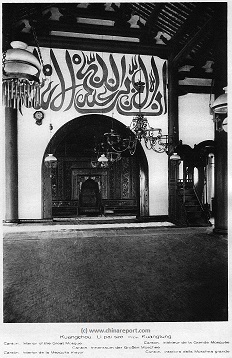 Old Photo of the Main Prayer Hall at Guangzhou Mosque.